This one was nice, too. 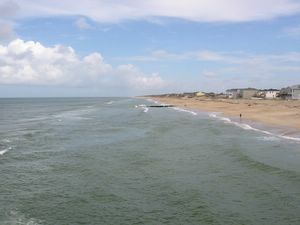 View at the end of Nags Head Pier. My dad unknowingly posed well, too. 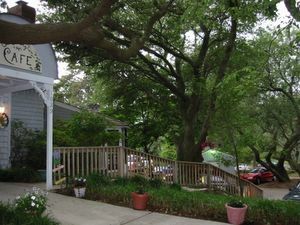 The entrance and more trees at Colington Cafe. I have been extremely busy in the last few weeks, looking for a job, both within IBM and outside the company. I have certainly been focusing more on looking inside IBM while I'm still there, though. This past weekend I also participated in the annual ham radio Field Day event with the Orange County Radio Amateurs. Saturday night, I operated for several hours on 20 meter phone. 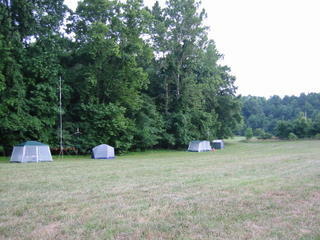 You can see the tent I was in, at the far left of the picture on the right. I had hoped that I could put a link to last year's post describing Field Day. It looks as if I didn't put much effort into describing it at all, in part because I didn't really participate much last year. Basically, it's a contest in which clubs and individuals attempt to contact as many other stations as possible during a 24 hour period. During each contact the parties exchange their call signs, locations and the classifications for the contest. For example, our club callsign is W4Ez, our location is North Carolina and we operated as 7A. This means that we operated seven stations simultaneously (unless too many people were sleeping). OCRA also operates every year using QRP, which means that we are trying to simulate emergency conditions and only use 5 watts of power from batteries. We can charge the batteries with generators, but we cannot operate using generators. It's a lot of fun, but it can be frustrating, because it means that a lot of people can't hear us, at least during this part of the sun spot cycle. Another cool thing about Field Day is that everyone, even non-hams, are allowed to operate on all the bands. The other main component of Field Day, as far as I and many other people are concerned, is food. My dad is actually in charge of food for OCRA, which is amusing to me since it's the only time of the year that he ever cooks. He does a good job, with my mom's help. He makes hot dogs and hamburgers (salmon, Boca, turkey and beef) on Saturday night and pancakes and sausage (with real maple syrup) on Sunday morning. 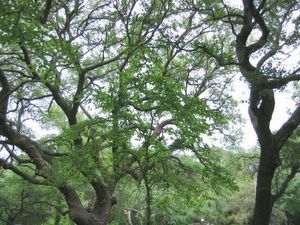 My Canon S300 camera started dying after the picture on the left was taken. I'm not sure what's wrong with it, but the display shuts off and it refuses to move the lens. It's very frustrating, because I don't really want to spend a lot of money right now and I had thought this was a very nice camera. It's never been dropped. The sunset actually got a lot more spectacular after this, but it already looked great in this picture. I have now revised my resume 2o9,937 times. I've been to ACME a couple of times lately. We went there for brunch to celebrate Father's Day, accompanied by JJ and JA. Dads eat for free on Father's Day, so we couldn't miss that. We also celebrated my parents' 39th wedding anniversary Sunday night. 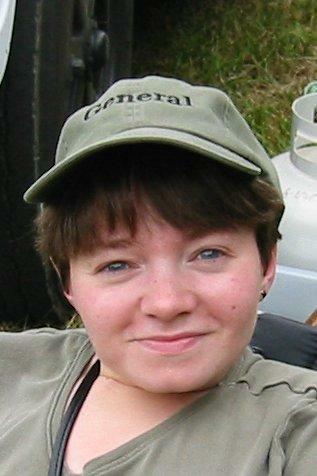 JJ and JA gave a me a "General" hat, because the Saturday after I got back from the coast, I passed the General exam, to upgrade my ham radio license. I neglected to mention this in my last post. Now I can legally operate on HF bands anytime, rather than just on Field Day. Today, a bunch of us went to China Express for lunch, to take out LD, whose last day at the company was today. I believe it's owned by the brother of the owner of Eastern Lights (formerly the Mandarin House). It's very good. I had chicken and plum sauce, which is no longer on the Eastern Lights menu, so I hadn't eaten it in many years. Despite my natural sorrow that my vacation was ending, I cheerfully returned to work on Monday morning. I had been at my desk just a few minutes when my manager called me to her office. I was laid off. I have 30 days from last Monday to find something else within IBM. I've been going through all the hoops necessary to apply for jobs within the company. I foolishly hadn't updated my resume in 5 years, so I had to do that as quickly as possible. The worst thing is that my mail server has been down and I haven't been getting my work e-mail. Lovely. At any rate, I've been doing fine. If any you, dear readers, know of any jobs within the Triangle Area, please let me know. Take a look at my resume, give me feedback and pass it on to your friends and enemies. 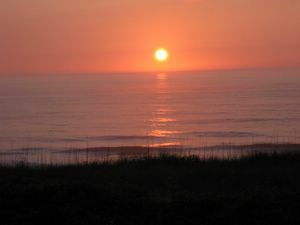 Out of all the sunrise pictures my dad took the last morning we were there, it was difficult to decide which one was my favorite. One more picutre from Nags Head Pier. Yes, I really did like it there. The angle was accidental, because I was sticking the camera through the railings, but I've played with the angle in Picasa and I like the original best. 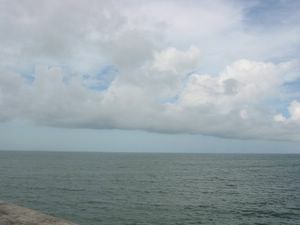 View from Nags Head Pier. My goodness, it feels as if it's been months since my last post, but it really hasn't. It hasn't even been a week. 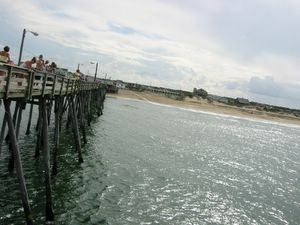 Last Thursday afternoon, after we left Kitty Hawk Kites, we went to Nags Head Pier and looked around. I thought it was tremendously pleasant out there, because there was a strong damp wind blowing off the ocean and the pier goes way out into the sea. Fishermen casting in close proximity makes me a tad nervous, though. Thursday night, we went to Owen's Restaurant one more time. I had Lobster Newburg, which was lobster in a cream sauce with large triangles of puffed pastry. My dad ordered a seafood pasta dish, but they accidently gave him chicken pasta. It was delicious, so he didn't mind and they brought him another entire entree to take home. We also took home a bowl of the lobster bisque for my mom to try. The next morning, it was time to leave. We parked across from Jockey's Ridge to watch the kites for almost an hour. Several people had them out and some of them were very cool. In particular, there was a spinning star box kite that was just awesome. On the way home, we took 98 home instead of trying to go through Raleigh at rush hour. It was interesting seeing what Bunn was like. All in all, I think it was a nicer drive anyway. Saturday, GM and I went to Southpoint for dinner and to watch a movie. We ate at Firebirds Rocky Mountain Grill. While waiting for a table, we saw a guy performing near one of the fountains. He seems to be known as JuggleBoy and he was rather good. He could easily juggle six balls. Since JH can only do four, I know that it must have taken a lot of practice. He also juggled flaming torches and that resulted in the most tips. From the website, it look as if there a strong religious connection there. Firebirds was excellent. They had wonderful bread and I had sesame encrusted teriyaki salmon. It was very tender and served with fried spinach and parmesan mashed potatoes. The spinach was not battered, but bright green and crunchy. Afterwards, we saw Mr. and Mrs. Smith. It, like many things I've seen lately, was very entertaining. It was also funny, too. It had almost War of the Roses feel to it near the end, with a little more elegance. 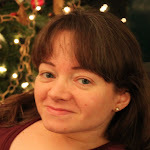 Sunday, I spend the entire day blogging. I had thought that Thursday would be the start of the annual Rogallo Kite Festival, so we headed to Jockey's Ridge State Park. I didn't see too many kites there, but the park was quite cool. They have a long wooden path to an overlook of the dunes. It was extremely bright and hot out there, so we thought that we would burn to a crisp if we stayed out there too long. They also have a little museum exhibit explaining some of the geologic features of dunes and the history of the park. I asked one of the people working at the gift shop/kiosk where to get lunch and he recommended a sushi place down the road, Taiko Japanese Restaurant. I just had eel and salmon nigiri, but it was pretty good. Afterwards, we went across the street from Jockey's Ridge to the complex that includes Kitty Hawk Kites, which is a huge building with lots of ramps. First we went to the Wooden Feather,which had a wide array of wildlife crafts and other interesting odds and ends. I ended up getting two pairs of earrings made out of anodized aluminum (or something similar). 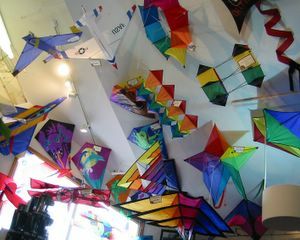 Next, we went to Kitty Hawk Kites, which is huge in itself. We went into several stores that are actually connected to Kitty Hawk Kites, looking for the actual kite store. The other shops sell sporting goods, clothing and other knick knacks. The kite store, in addition to kites, also has tons of toys, t-shirts and jewelry. I had to get two pairs of earrings, one abalone and one sterling silver. I didn't buy any kites, but I'm considering putting up one in my room somewhere. It turns out that the kite festival wouldn't start until Friday, even though I'd seen things written up that said Thurday. Here's another view of the ceiling at Kitty Hawk Kites. It looked quite stormy looking toward the south from the same spot. 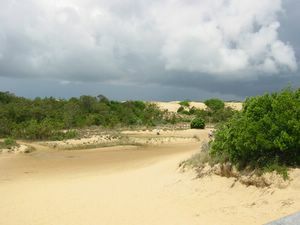 View from outlook at Jockey's Ridge State Park. 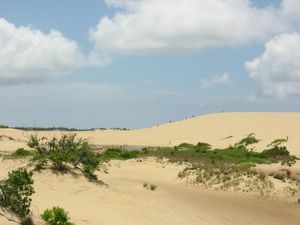 We could just see hanggliders taking off from the highest point of the dune. They offer gliding lessons at the park. 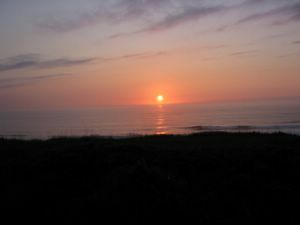 Thursday morning I set my alarm on my phone so my dad could get up and take pictures of the sunrise over the ocean. I'd put my phone on vibrate so it didn't work, but fortunately he woke up in time anyway. 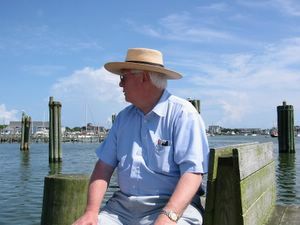 Once we reached Hatteras, we stopped in a Lee Robinson's General Store, which had been written up in the Insider's Guide. It was a nice yellow building, with all kinds of interesting toys and snacks. I was tempted to get a large plastic toad for my office, for ten dollars, but I thankfully resisted. I did get a flexible pencil for fifty cents before I left. Next, it was time for dinner. We weren't overly hungry, but we thought we might stop at the Blue Parrot, in Avon, if it looked good. My uncle, who likes to come to the area for windsurfing, recommended it. As we approached the restaurant, it was clear that the sunset was going to be worth watching, so I thought we should definitely eat there, if we could. We were not disappointed. In fact, my dad thought that his meal was the best of the trip so far. He had fried shrimp with rice and vegetables. The rice had just a tinge of horseradish, so it was unusually good. The shrimp were spiced with herbs, so it wasn't your ordinary fried fare. I had Thai sesame shrimp marinated in a banana liquor and grilled with pineapple and vegetables. That was superb. We were stuffed and declined dessert, but our waitress, who was from upstate New York, said my uncle must not have told us about their key lime pie. We had to try it and finished it off without a problem. 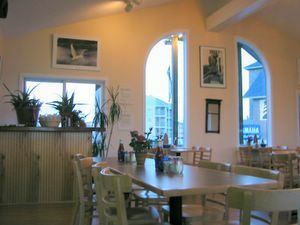 So, given the absolutely fantastic meal and the gorgeous view of the Pamlico Sound, why were we the only ones eating in the whole restaurant? I would recommend it highly to anyone who happens to be anywhere near there. I hope that business picks up soon, so it will be there the next time I'm passing through. As I was leaving, I was not surprised, given the delicious food, to see that two of their recipes have been in the R.S.V.P. section of Bon Appetit. The interior of the Blue Parrot Cafe was also nifty. I love unusually shaped windows. This was the opposite side of the room from the one with the view of the sound. This was the view before we went inside the Blue Parrot Cafe. The eleven mosquito bites I received while we were in Avon were worth it. 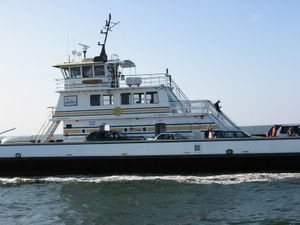 On our way back to Hatteras Island, we passed a ferry heading to Ocracoke that wasn't even full. I don't think I've mentioned so far that these ferry rides between Hatteras and Ocracoke are all free. Fortunately, we only had to wait 45 minutes or so. 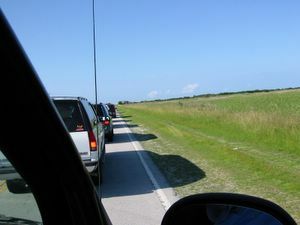 They have the cars in one long queue rather than the separate boat length rows on the Hatteras side. 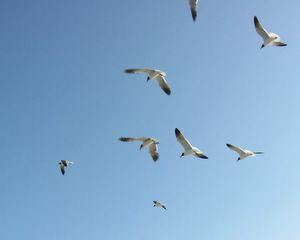 Once we boarded, my dad took some cool pictures of the gulls that people were feeding off the side of the ferry. We were quite worried when the traffic was backed up quite a distance from the ferry landing. 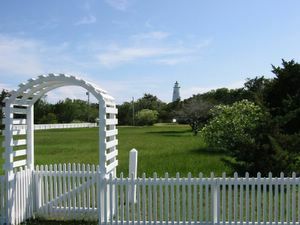 Once we got on Ocracoke Island, we had to drive 14 miles to Ocracoke Village. Since I generally don't eat breakfast and it was approaching 2 pm, I was a little on the hungry side and getting cranky. Parking is very difficult there, since all the tourists congregate around the restaurants. Fortunately, we found Captain Ben's Restaurant, which had parking in the back. Once I had a menu in my hands, I cheered up a little, although I had a hard time deciding between the crab cake sandwich and the lump crab plater. The friendly waitress said that both were heavenly, but the deluxe crab cake was a better deal. I decided to go with that. I devoured the crab cake sandwich in no time. The cole slaw was good, even though it was mayonaise based. Dad even thought so, which was really amazing. The fries were good, too. I just read on an Ocracoke realty site that the restaurant is for the sale, for a mere $1, 800, 000. 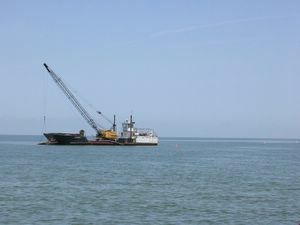 You can see on that site just how expensive all the properties are on Ocracoke. One cool thing is that the Winston Salem ham's family and the family parked to the left of us on the ferry ended up eating lunch at the same restaurant. Believe me, there are quite a few restaurants there, so that's quite a coincidence. Afterwards, my dad and I decided to go back to the dock area for a while. 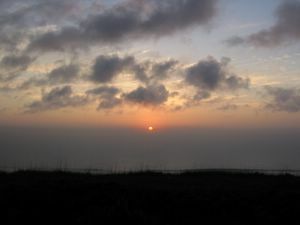 We'd spent a good deal of time there when we last visited the Outer Banks, four years ago. I took several pictures and wandered around until it was just too hot to stay out there any longer. We decided to look for the lighthouse next, since I hadn't been there before, and it didn't look as if there would be any chance that we could park near it. We drove around and got a good view of it from one of the small streets nearby. Four years ago, we had gone to a wonderful candy store that was filled with all kinds of goodies. It didn't look as if it were where we remembered it, so we figured it must have gone out of business. Not too long after that, I noticed a sign along the side of the road saying that The Sweet Tooth had moved to a new location across from the gas station. Sure enough, we found it. We weren't sure until we got inside and asked someone if it were the same place that it was the one we remembered. The lady who was filling our fudge order told us that they had rented the old location and the owner was actually able to buy the new one. We got quite a bit of candy: 1/2 a pound of chocolate covered orange peel, 3/4 of a pound of fudge (chocolate, chocolate pecan and chocolate mint), old fashioned candies (Mary Janes, Bit-O-Honeys, Sugar Daddies, gummy fruit slices, sesame candies and smarties), maple candy, dark chocolate nonpareils, and gummy sour cherries. That was all only $23. Wow! They certainly aren't gouging the tourists there. I also got a root beer float, which was very nice. I really like the picture I took with my phone there, too. When we left the candy store, we were in a hurry to get back to the ferry, because we heard that that the ferries only operated until 7pm and it was already close to 5pm. We didn't want to be stuck on the island, in case it took as long to get back as it did to get there. While my dad was taking this shot from the passenger side window, a policeman was asking me what we were doing. Fortunately, he seemed satisfied with my answer that we were photographing the lighthouse. That's probably because I didn't say that we were "attempting a drive-by shooting". It was a beautiful day, but it was really hot out there. 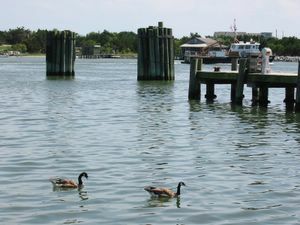 The Canadian geese were very kind to pose for me while I was photographing the dock area. approximately how far it is in between Nags Head and Ocracoke, even though there isn't a scale. Keep the eastern edge of North Carolina in mind when you're looking at this and maybe that will help. As you drive south, you pass through the towns listed on the map, which are all comparatively small. Otherwise, one is driving through coastal wildlife refuges and there is pretty much nothing there. 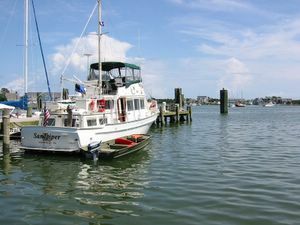 I got the impression that as you go south, toward Hatteras, the towns are ritzier. 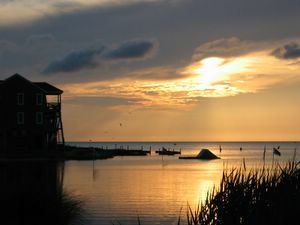 Most of the houses in Avon and Hatteras are huge and gorgeous. There are neat areas where there is water between the road and the houses on the sound side, so the houses look as if they were actually on the surface of the water and there are slightly arched bridges from the road to where the houses are. Next time I should really take some pictures of this, because it looks really wild. At night, on the way back, the lights were reflecting in the water, so it was really beautiful. 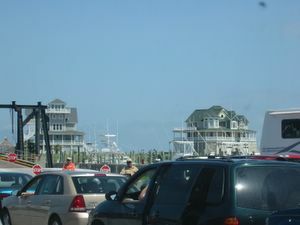 Once we got to Hatteras, we had to wait for the ferry for an hour and a half. We really had no idea when we were going to be about to board one, but we feared it would take a while, because there were so many cars ahead of us. It was warm and fairly excruciating, but my dad and I had been making up flash cards so I could study for the ham radio General exam, to upgrade my license, so it was somewhat productive. The ferry ride itself lasts about 40 minutes and was kind of fun, since we were actually moving. One cool thing is that the guy in the vehicle to our right, once we got on the boat, was a ham from Winston Salem. 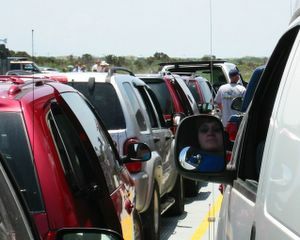 My dad got a picture of me in the rear view mirror as we got close to the island shore. Once we had boarded and were moving, it was a lot more pleasant. We waited here for an hour and a half, before we got on the ferry. On Tuesday, while we were still at the gallery, we asked Glenn Eure where we should go for dinner. He recommended Colington Cafe and even made reservations for us. He said to just turn onto Colington Road at the Red Apple filling station and it was on a hill. Once we got back to the hotel, I looked at the Insider's Guide book and it said that it was actually on Colington Island, in Kill Devil Hills, which confused me. Note that the hotel we were staying at was the Ramada Plaza of Nags Head, but it was actually just inside Kill Devil Hills. Sure enough, we followed his directions and saw the restaurant. The restaurant was beautiful, inside and out. It's an old victorian house surrounded by large gorgeous trees. I am thrilled to see that the cafe has a website. My dad and I sat at a table in the sunroom that's pictured on the site, just in front of the door. You can see the photo of my shrimp pasta entree that I posted earlier this week. The dessert was fantastic, too. Overall, it was a very pleasant dining experience. Some of the beautiful trees in the parking lot for Colington Cafe.